These girls are from Susky Village (the middle age group in Wawayanda) at their overnight site! At lower banks, where this picture was taken, are cabins 48 and 50. 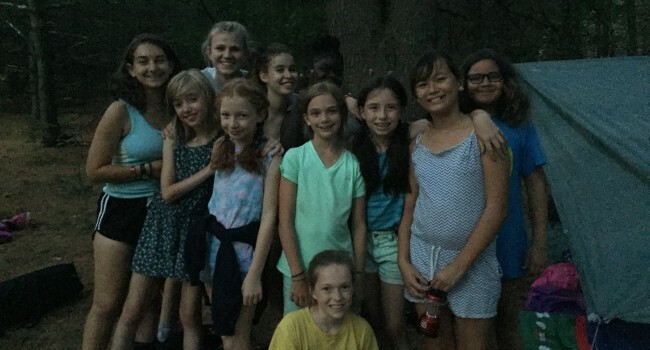 The girls had a great time cooking their pita pizzas and s’mores outdoors, and are excited to sleep outside tonight as well!!! In the picture you can see the tarp they set up to keep them dry and covered while they sleep. Another great Wawa overnight!